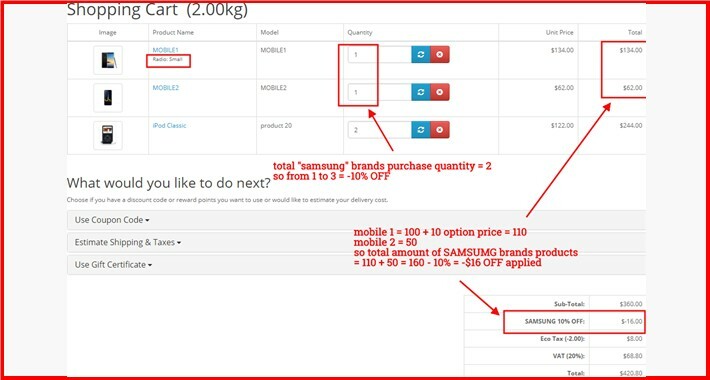 • Setup Discounts based on sum of "Purchased Quantity" on selected manufacturers. • 7. Admin > Manufacturer Based Quantity Discount > Create unlimited discounts here.